Filmmaker Richard Craske believes in the power of the paranormal within the entertainment industry -- and in his own life. A director of photography and director from London, Craske has spent a career in the biz, and several years ago he was working on a TV pilot for a paranormal show in a supposedly haunted hotel in Cornwall, England. 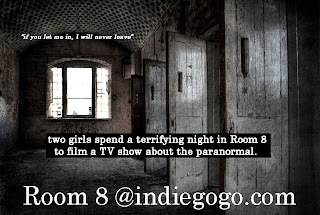 Craske claims that he and his crew, along with an actor and undercover reporter experienced a "terrifying night in room 8." 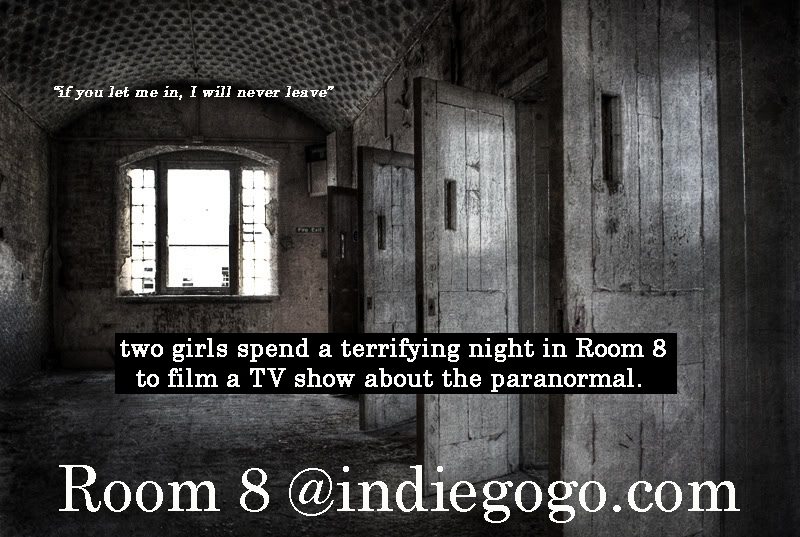 Now those experiences are the basis of an Indiegogo crowdfunded campaign for Room 8: The Other Side, Craske's scripted feature film based on the events of the night. By consulting with mediums and groups such as the Ghost Club of Great Britain, Craske wants to make ghost story movie "grounded in reality and not make believe" about that night years ago. According to Indiegogo site (which recently opened its doors to UK residents), Craske said he wanted to make a film that would both entertain and warn of the dangers of immersing oneself into the world of the supernatural. The idea of ramifications of delving into the paranormal are especially personal for him, he said, because he was haunted by dreams of a crocodile-headed beast following a visit to the King's Chamber, in the Great Pyramid in Egypt. On this visit, long before the current paranormal pop culture craze, Craske hopped into a Pharaoh's sarcophagus and was told that he was being pursued by the guardian of the tomb, which then led to him getting a spiritual cleansing and becoming obsessed with the experience -- and eventually coming up with the idea for the initial TV pilot. The perks for contributing to the Room 8 campaign are pretty interesting considering the material. While there are the usual perks such as a producer credit, and the chance to be an extra on the set, there is also the chance to contribute at relatively low donation levels so your own paranormal experiences can be featured in conjunction with the flick. Said Craske's release, "the most enticing perk, however, is the opportunity for anyone with a personal ghost story to be part of the film's closing credits in a split screen similar to that in Love Actually." So there you have it. Is the Richard Craske's mission of telling a "true" but entertaining ghost story good enough to make you check into Room 8?